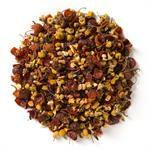 Orange Spice (Loose Leaf) combines organic Valencia orange peel with exotic spices and a base of organic black tea. 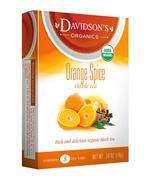 Davidson's Orange Spice (Loose Leaf) is a full-bodied black tea brew with citrus nuances. Davidson's organic black tea is sourced from family tea gardens in the Darjeeling and Assam regions of India. 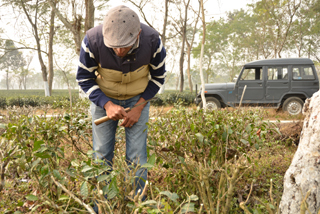 This image features co-owner, Kunall Patel, pruning tea plants in the Snowview Tea Estate. 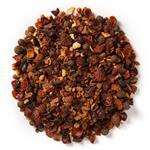 Organic black tea, organic orange peel, organic cinnamon and natural flavor. 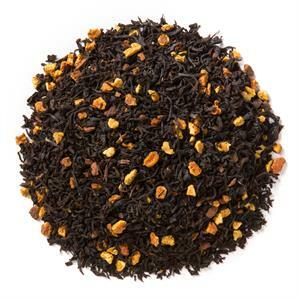 Very enjoyable, black flavored tea.